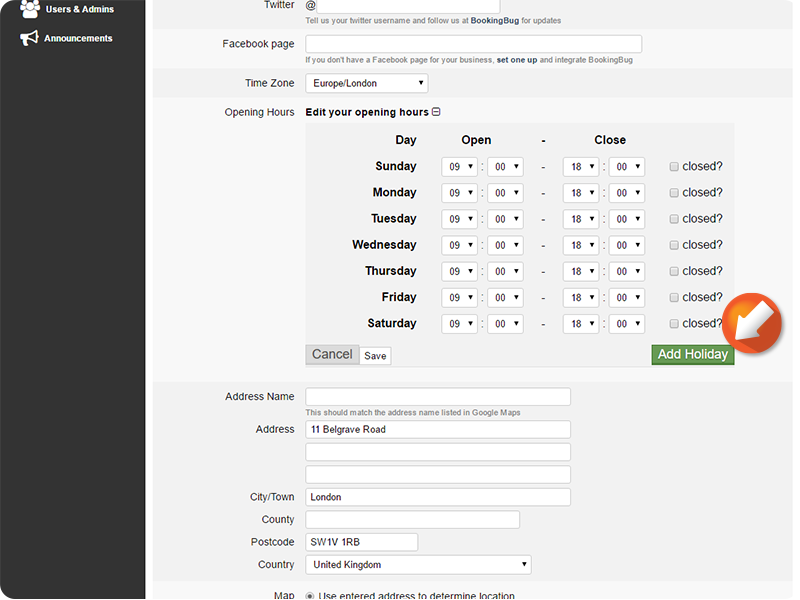 Click and drag across the grid to select the desired Business working hours. 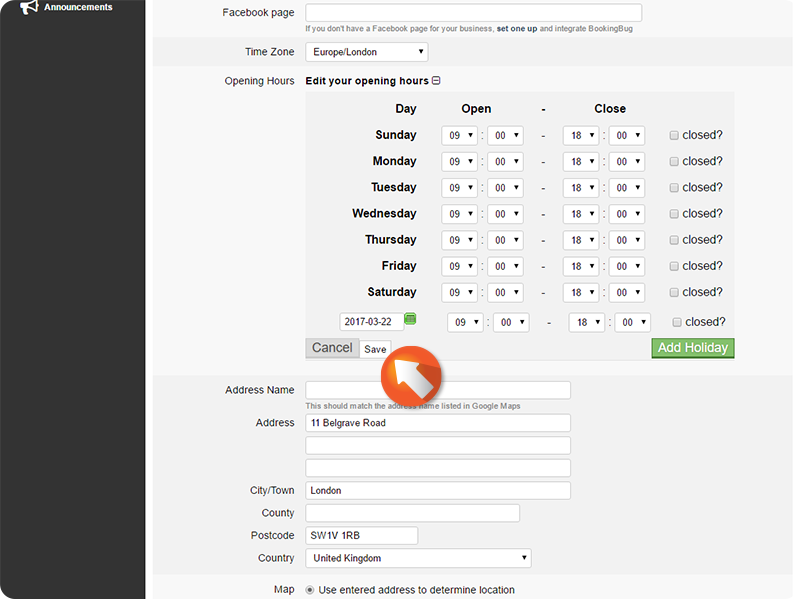 This configuration has the Business open from 9 to 6PM on weekdays, and 12PM to 5PM on Saturday. 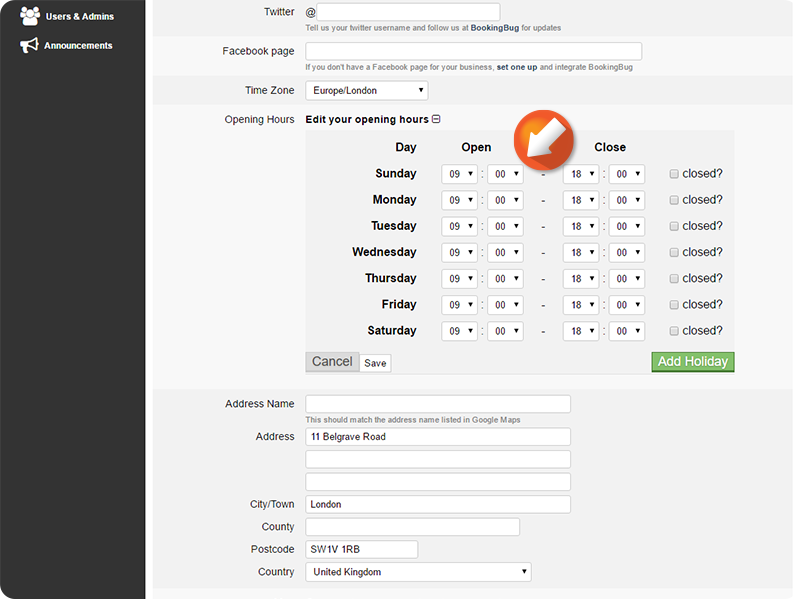 Click the Grey icon to select Business closing hours, then click and drag across the Availability grid to set. 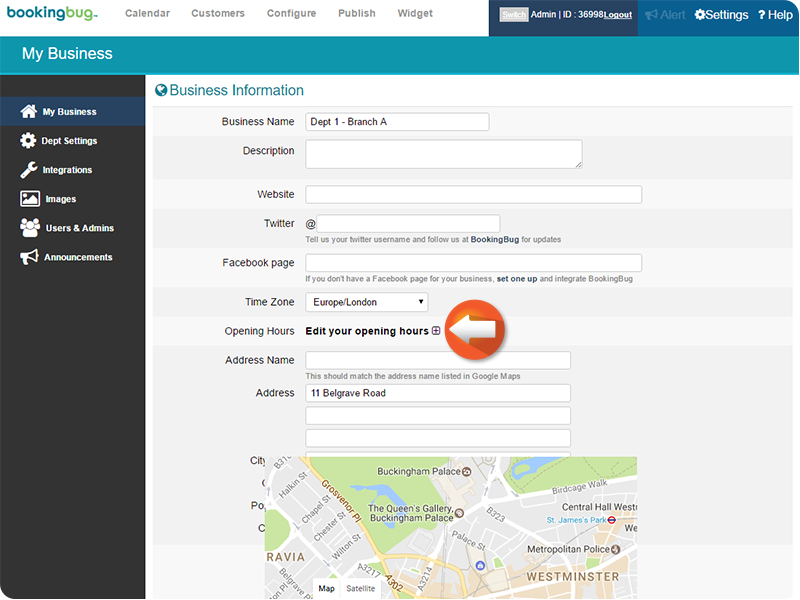 To set Business opening hours with a configured account; from the Dashboard, click the Cog/Settings icon. 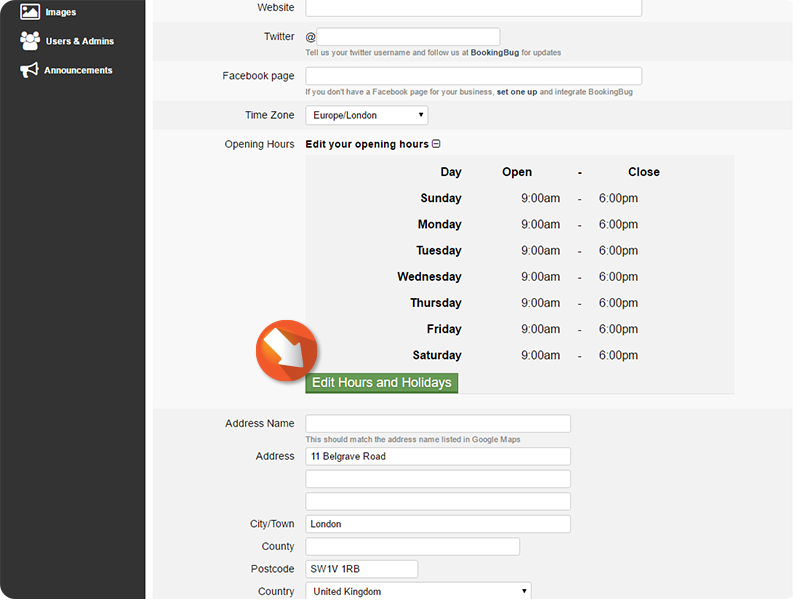 Click Edit your opening hours to set your opening hours. 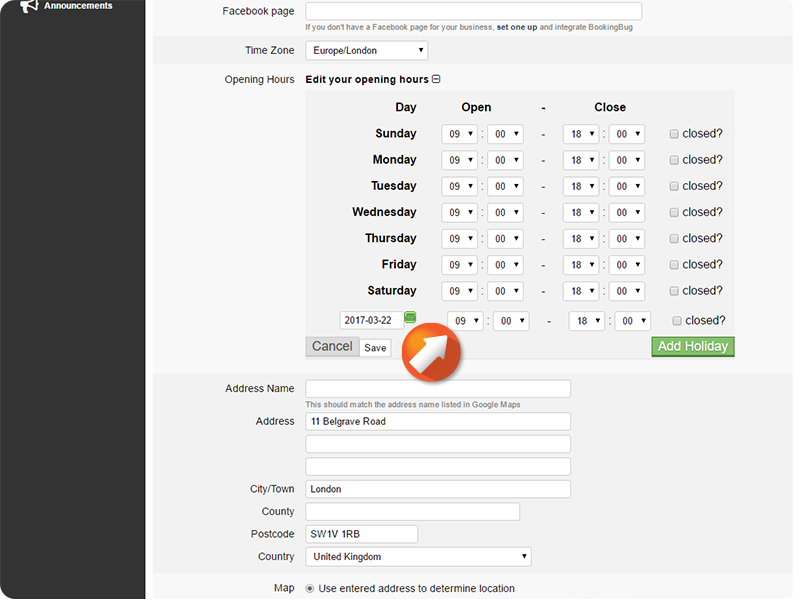 Click the Time drop-down menus to adjust to the desired Business opening hours. 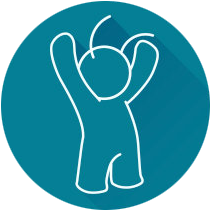 To add a Holiday, click Add Holiday. 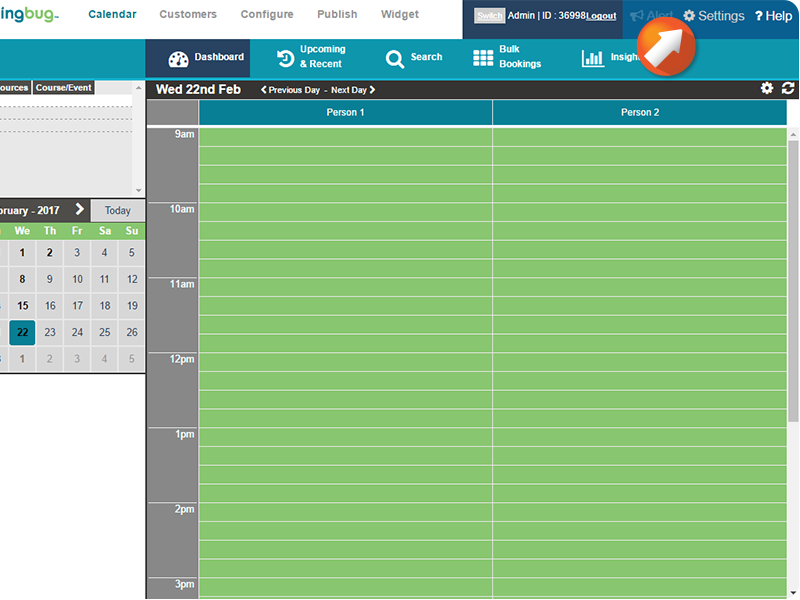 Click the Arrow icons to navigate, then click the desired date. 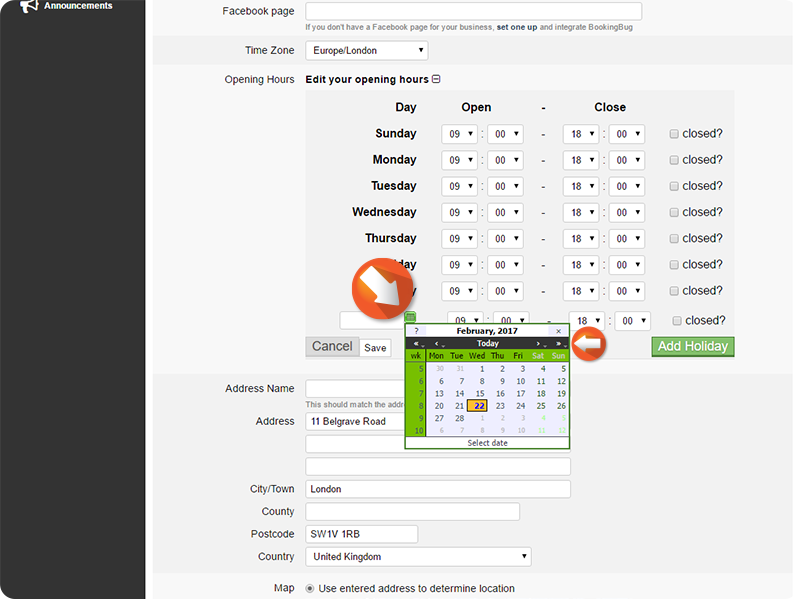 Click the Time drop-down menus to adjust Holiday opening hours.